Jonathan Russell (b. 1979) leads an active and varied musical life as composer, clarinetist, bass clarinetist, conductor, writer, and educator. His wide-ranging and eclectic compositions build on influences from across the musical spectrum, unified by their directness of expression, emotional power, and visceral musicality. 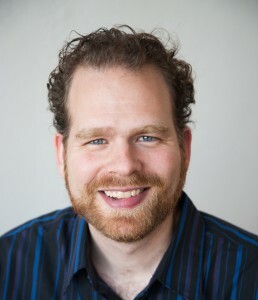 He has received commissions from ensembles such as the San Francisco Symphony, Peninsula Symphony, Symphony Number One, Woodstock Chamber Orchestra, Imani Winds, Empyrean Ensemble, ADORNO Ensemble, Wild Rumpus, New Keys, ZOFO piano duo, and the Great Noise Ensemble, and performances from numerous other ensembles and performers. His works are published by Potenza Music Publishing, BCP Music, and Peer Music, and his music has been recorded by the Sqwonk bass clarinet duo, the Kairos Consort, pianist Jeffrey Jacob, The Living Earth show, Imani Winds, the Twiolins, the NakedEye Ensemble, and Symphony Number One. He is especially known for his innovative bass clarinet and clarinet ensemble compositions, which have dramatically expanded the technical and musical possibilities of these genres. He has also developed a reputation as a skilled arranger of canonical works for implausible combinations of instruments, such as the Rite of Spring, Scheherazade, and The Planets for woodwind quintet; J.S. Bach’s Toccata and Fugue in D Minor for two bass clarinets; and the Rite of Spring for two bass clarinets, electric guitar, and percussion. Jonathan approaches performing with the same curiosity and omnivorous appetite as composing. 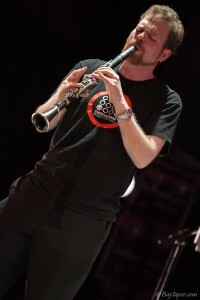 Originally trained as a classical clarinetist, he also plays klezmer and Balkan music, freely improvises, and is especially known for his unique and innovative approach to the bass clarinet. 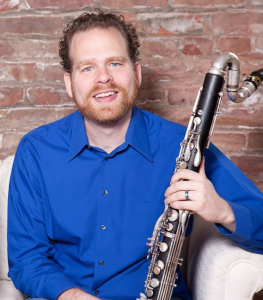 He has been a member of two ground-breaking bass clarinet chamber ensembles: the legendary heavy metal-inspired Edmund Welles bass clarinet quartet and the Sqwonk bass clarinet duo, which has commissioned numerous new works and released three albums. He has appeared as soloist with the Hudson Valley Philharmonic, the West Point Military Academy Band, the Princeton University Orchestra, Harvard’s Bach Society Orchestra, the Woodstock Chamber Orchestra, the San Francisco Composers Chamber Orchestra, the Great Noise Ensemble, the NakedEye Ensemble, the Omaha Symphonic Winds, and the Peninsula Symphony, among others. He is also co-founder of the Switchboard Music Festival, an annual marathon concert of the San Francisco Bay Area’s most creative and innovative composers and performers. Jonathan frequently conducts his own compositions, as well as premieres of works by student and emerging composers. A dedicated and creative educator, he has served on the Music Theory Faculty at San Francisco Conservatory and on the Composition Faculty at the Conservatory’s Adult Extension and Preparatory Divisions. He currently works as a Teaching Assistant in the Harvard music department. He has also given bass clarinet master classes throughout the United States and Europe, both on his own and with Sqwonk. Jonathan has served as Music Director for four highly acclaimed dance productions with choreographers Janice Garrett and Charles Moulton. His work on their June 2011 production, The Experience of Flight in Dreams, earned him a nomination for an Isadora Duncan Dance Award in the category of “Outstanding Achievement in Music/Sound/Text.” He has written concert reviews for the San Francisco Classical Voice and Bachtrack, and feature articles for NewMusicBox and The Clarinet. 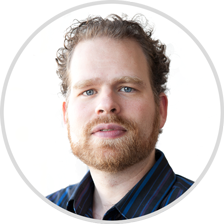 Building on recent research into the geometric modeling of pitch space, his doctoral dissertation presents a new harmonic analysis of the entire Rite of Spring. He has a B.A. in Music from Harvard University, an M.M. in Music Composition from the San Francisco Conservatory of Music, and a Ph.D. in Music Composition from Princeton University. His primary composition teachers have included Paul Lansky, Dmitri Tymoczko, Dan Trueman, Barbara White, Steve Mackey, Dan Becker, Elinor Armer, Eric Sawyer, John Stewart, and Eric Ewazen. His clarinet teachers have included Janet Greene, Alan Kay, and Jo-Ann Sternberg. He currently lives in Cambridge, MA, with his wife and 2-year-old son. Conducting Robin Estrada’s Parangal at the Switchboard Music Festival.